Laura was a self-certified couch potato who, until a few years ago, could only run for a couple of minutes at a time, and couldn’t swim. She has now completed several marathons and is a committed triathlete. But Laura couldn’t have achieved what she has without the advice and support of her friend Katie. A life-long runner, fair-weather cyclist and born-again swimmer, Katie helped Laura through the ups and downs of training for a triathlon. As well as surmounting fears of failure and, more importantly, Laura’s fears of drowning in the swim start, their triathlon journey gave them the opportunity to push their limits and have fun along the way. 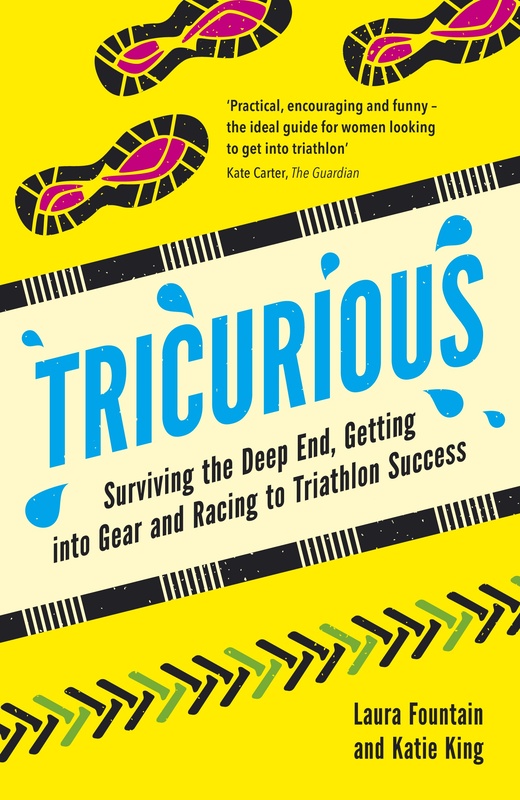 Tricurious tells Laura’s and Katie’s story with energy and humour. 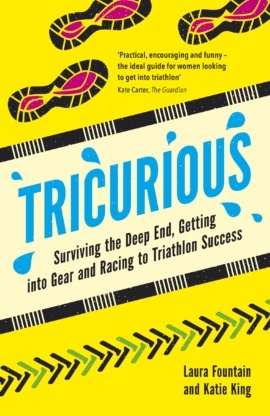 Filled with anecdotes and advice about the trials and tribulations of preparing for a triathlon, this inspiring book will answer your questions and leave you curious to experience the joy (and pain) of swim, bike, run. Laura Fountain is a writer, running coach and personal trainer. She writes a regular column for Running Fitness magazine and runs a running group for beginners to help them complete their first 5 k. Her first book The Lazy Runner (Pitch Publishing, 2012) was based on her popular blog Lazy Girl Running. Katie King indulges in a love of sport and writing outside of her day job. She loves to race and makes it her mission to find the funny side, no matter how tough it gets. She has written for Men’s Running and The Guardian running and swimming blogs, and writes her own blog, Cake of Good Hope. She is a BTF Level 1 triathlon coach and running group leader.